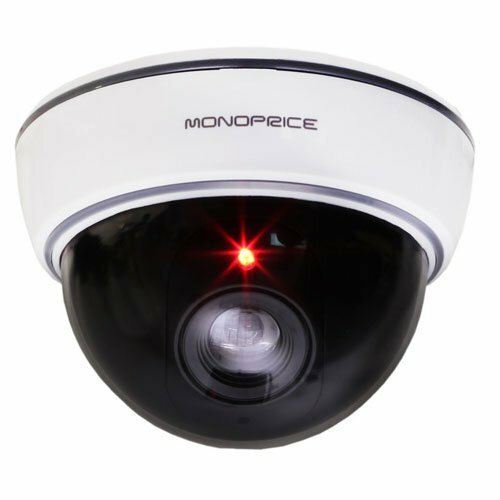 Monoprice's white dummy dome camera is a great all around solution for offices retail and loss prevention! With a sleek design these cameras will blend in nicely with your existing cameras. The switchable on/off LED can be turned on to create a different look but you decide if you want it on or off. The camera is easily mounted to the ceiling using 2 screws. Dummy Security Cameras can be used to augment your existing security system by creating the impression that you have more camera coverage than is actually installed. They can also be used to temporarily replace faulty cameras in case spares are not available while repairs are being performed. 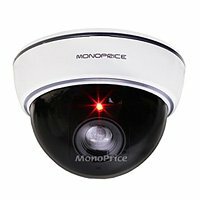 Dummy Security Cameras can be used to augment your existing security system by creating the impression that you have more camera coverage than is actually installed. They can also be used to temporarily replace faulty cameras in case spares are not available while repairs are being performed. 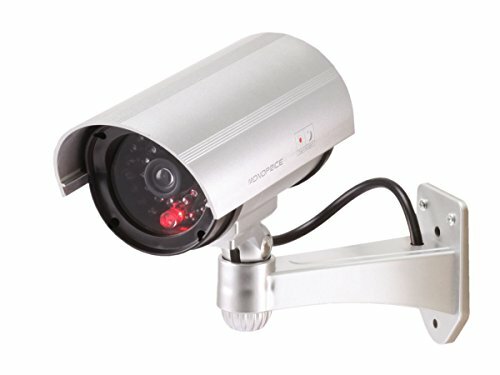 This dummy camera is designed to look like a silver, wired IR bullet camera and includes a flashing red LED to indicate camera activity. The square base is suited for mounting on a vertical surface and can be adjusted for the correct camera orientation. The base includes a hole for inserting the dummy data/power cable for that extra, realistic detail. A plastic hood emulates a sun-shield for the dummy camera lens.